Safety is something we all take seriously. We lock our doors, take out insurance, protect our information with passwords, we conduct safety measures in a multitude of different ways. We invite you to challenge yourself and have a go at our original quiz concerning all things related to safety! 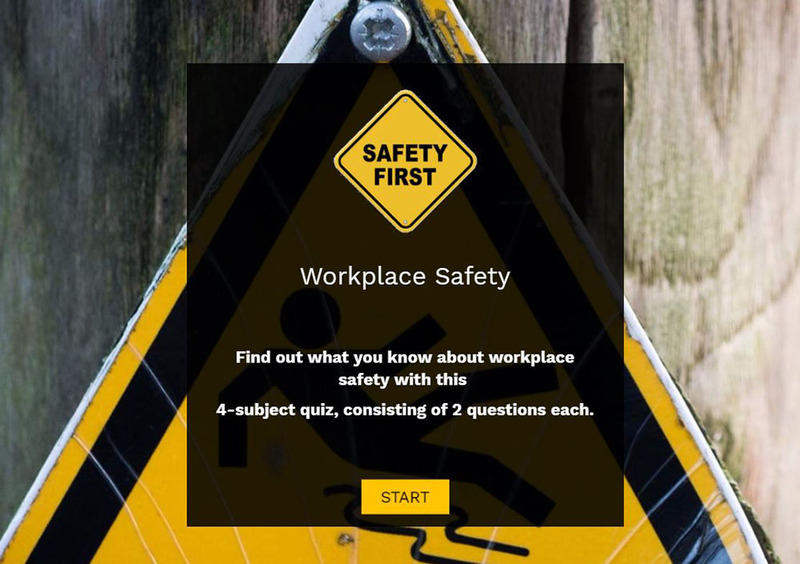 Quick, detailed quizzes to help employers increase safety in the workplace. Reinforce training and quickly evaluate your employees. In 2014, 3739 fatal work-related accidents happened in the EU. Many of those could have been prevented by informing employees of the dangers and hazards involved in their line of work. Ideally, this is done in a one or more training sessions. Making sure that employees retain the knowledge they acquired during a training session is as important as the training itself. Some studies report that after just one week the average employee has retained only 80% of what they were taught. That rate falls steadily until, months later, as little as 10 to 20% remains. That’s where a safety quiz comes in. Safety quizzes are supplementary and are not meant as a replacement for required, on-site workplace training. Why Build a Safety Quiz With Survey Anyplace? Let people take the quiz on-, offline and on any device they want, ideally for people who work remotely. Get immediate feedback on the performance of your workforce and make adjustments where necessary. Test before, during and after the training experience to get a clear view of progress. Allow room for feedback with a short survey within your training campaign. Your employees often have very valuable insights! Ask short questions and spread them over time: limit your questions to 4 or 5 to stimulate fast and thought-through answers. People try harder when it’s a competition. Take advantage of the competitive spirit of your trainees by adding a scoreboard to the quiz. Increase this even more by making the scores shareable or combine it with a team-incentive. Personalize each quiz: Safety quizzes should not have a “one size fits all” approach. In fact, every employee should be given a personalized interactive safety quiz based on their needs and position within the company. To use this sample sign up for Survey Anyplace , and choose ‘Safety Quiz’ as template when creating a new survey. 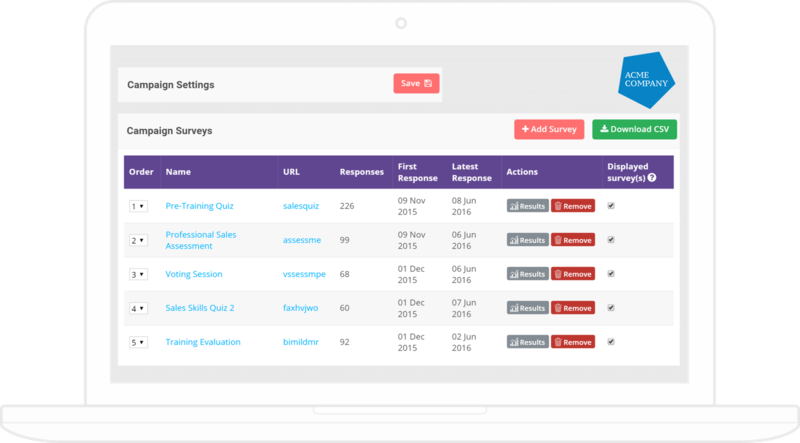 Work on employee engagement and job satisfaction with short, interactive surveys and quizzes.